The eyes of a Williams Syndrome Child are unique, there is what appears to be a beautiful star burst in the eyes of these special children - these Awesomellent Starry tees help represent those stars in those special eyes! My special needs son came up with this word after seeing the circus here in St. Louis. Two great words combined to join one great word. 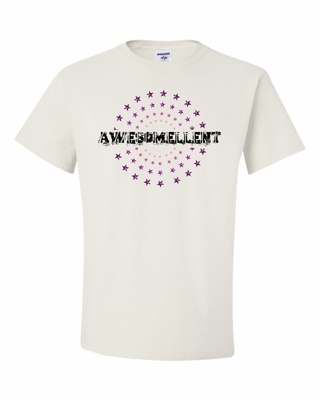 Awesomellent sweatshirts, t-shirts, coffee mugs & more. A portion of these Awesomellent shirts will be sent to help research for the William Syndrome Foundation. Remember� you found the Awesomellent Stars T-shirts at TShirtHub.com, where high quality came at a low price.